Gary Lee Verplank, age 78, of Spring Lake passed away Monday, February 11, 2019. He was born July 8, 1940 in Grand Haven to Vernon and Lydia (Secory) Verplank. He was proud to be the fourth generation of his family to live and work in the Tri-Cities. On December 29, 1970 he eloped with Victoria Bruhn in San Juan, Puerto Rico, who preceded him in death in 2014. Gary is survived by their three children: Tony (Monica) Verplank of Spring Lake, Ashley Verplank McClelland of Seattle, WA, and Kyle (Samantha) Verplank of Spring Lake; six grandchildren: Roan, Brooklyn, Hunter, Rourke, Rhodes and Sullivan. He is also survived by a brother, L.J. (Midge) Verplank; and sister, Joyce Hatton; sisters-in-law, Shirlee Achterhof and Marilouise (Dennis Farmer) Reuterdahl; brothers-in-law, Fred Bruhn and Joe (Carole) Bruhn; and many nieces and nephews. In recent years, he enjoyed spending time with special friend, Julia Van Domelen of Naples, Florida. Gary graduated from Grand Haven High School in 1958 and earned his Industrial Engineering degree from the University of Michigan in 1963. His early work career with Johnson Controls took him to Southern California for 5 ½ years where he also became a founding partner in the Recreation Broadcasting Company; launching the first FM radio station in Aspen, Colorado to deliver music to the Rocky Mountain region. He returned to West Michigan in 1968 to join his brother and father in the family business, Verplank Dock Company, which was founded in 1908. Over the next 50 years, Gary, along with his brother Midge, and several partners, would go on to found or acquire numerous businesses headquartered in West Michigan. These include Shape Corp. (1974), Finish Corp. (1985), Light Corp. (1986), Track Corp. (1993), BR Metals (1994), Pliant Plastics (1996), BioSolutions (1998), NetShape (2001) and Magnode (2018). He firmly believed that business exists for the betterment of community. Gary was proud to call the Tri-Cities home and never missed an opportunity to give back to the community he loved. He was involved in many charitable, volunteer, and philanthropic organizations. He proudly served on the Ferrysburg City Council (1973-1977), as Board Member for the Grand Haven Chamber of Commerce (1975-1980), Spring Lake Country Club (1986-1993), Spring Lake Yacht Club (1971-1979); serving as Commodore (1976), Mulligan’s Hollow Ski Bowl Committee (1979-1988), Grand Haven Area Community Foundation (1986-1992) and North Ottawa Community Coalition (1994-1997). Gary was humbled to receive many awards and accolades over the years, including the Chamber Lifetime Achievement Award (2002), JA West Michigan Business Hall of Fame Inductee (2004), Grand Haven High School Hall of Fame Inductee (2012), Ottawa County United Way G.W. Haworth Strength of Community Award (2017). In honor of his many years of service to the community, he was awarded an honorary doctorate of Public Service from Grand Valley State University in 2017. From a young age, Gary developed a love for the water and sailed competitively across the United States for 65 years. In 1983, he won the MC Scow Western Michigan Yachting Association Championship (WMYA), and in 1984, he won the MC Scow National Championship hosted in Dallas, Texas. 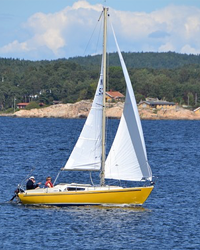 His love for the water and the sailing community were second to none, and he spent many summer days enjoying the competitiveness and camaraderie the sport offered. Gary had a passion for traveling the world with his family and enjoyed spending the winter months in Palmas Del Mar, Puerto Rico. He was a generous man who took great pride in his associations with friends, business associates, community members and most importantly, his family. He is best known for his deep humility and warm personality; and his friends and family loved him for it. A Funeral Service will be held at 11:00 AM on Friday, February 15, 2019 at All Shores Wesleyan Church, with Rev. Richard Rhem officiating. Visitation will be from 3:00 to 7:00 PM Thursday, February 14, 2019 at All Shores Wesleyan Church in Spring Lake. Interment will take place at a later date in the Spring Lake Township Cemetery. 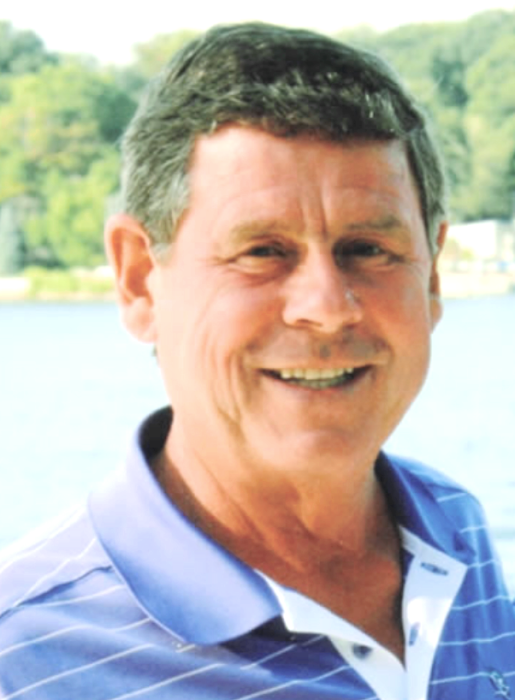 In lieu of flowers, Memorial Contributions in memory of Gary may be given to the Spring Lake Junior Sailing Association Endowment Fund or the Grand Haven Area Community Foundation Greatest Needs Fund.